To arrange a viewing; please contact one of our staff in the Lettings Team once you have found a property that matches your criteria. To secure the property we require a holding deposit of which allows us to withdraw the property from the market, while the referencing and administrative formalities are being completed. This amount will be deducted from the total amount due. Please note the holding deposit is non-refundable if you decide not to proceed in signing the contract. These will include proof of ID (passport or driving licence), employer’s reference, previous Landlord’s reference, proof of residence (utility bill), bank statements (3 x months), pay slips (3 x months) and any other information that is requested by Wonderlease Ltd. For company lets, we require a bank reference, accountant’s reference, company documentation and Two Trades’ References. Wonderlease will produce the assured shorthold tenancy agreement which is a legal binding contract between you as the Tenant(s) and the Landlord(s). 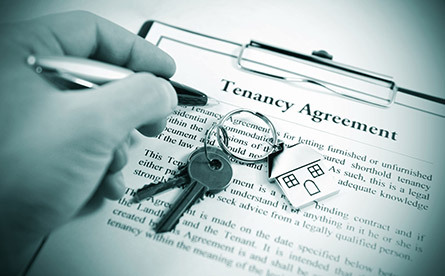 It will detail the responsibilities and rights of both the Tenant(s) and Landlord(s). Please ensure you read through the agreement thoroughly ensuring that you are happy with all of its content.